Italy draws a large number of international tourists, which means that country's major destinations are home to numerous restaurant jobs: Rome, Venice, Naples, Milano, Trieste, Palermo, Genoa, Bologna, Florence, Bari, Verona, Padua, Catania etc. There are a variety of jobs in hospitality sector in Italy, and there is an increasing demand for workers to fill these positions, especially during summer season. There are also plenty of restaurant jobs for foreigners available, especially in coastal cities and seaside towns. Those destinations in Italy get quite crowded with European tourists in summer. Restaurant presence in those major cities and towns is at a very high level during the season. If you are interested to start your career in a restaurant, you should know that you won't need formal education or work experience to get a restaurant job in Italy. The only important skill for foreigner citizens, who want to get for a restaurant job and work in hospitality sector, is to have basic knowledge of the Italian language. If an Italian or foreign job seeker is fluent in English, German, or any other European language, it is considered as an advantage, because of the high volume of international traffic. For those Italians and foreign job seekers, especially young people, with an interest in cooking, serving or managing a restaurant there are a plenty of job opportunities in Italy which offer the prospect of job satisfaction, job security and an income enough to cover all living expenses. Italy offers great job opportunities in restaurants for foreigners, especially for young people looking for temporary job, because restaurants in Italy are in demand for qualified workers to fill entry-level positions as well as mid-level positions during the summer season. 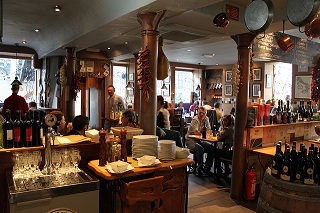 There are also international student programs available which offer part-time job opportunities in Italian restaurants for foreign students or graduates. Chefs, cooks and cook assistants, delivery drivers, waiters and servers are the most in-demand restaurant jobs in Italy..
Italy draws large numbers of international traffic, so the restaurant scene is huge and diverse. 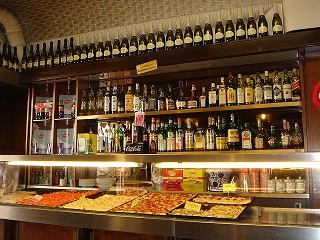 Beside pizza restaurants, which are a symbol of Italy, restaurant scene in Italy also includes many other types of restaurants: premium dining restaurants, fast food restaurants, brasseries, casual restaurants, cafés, coffeehouses, bistros, beach restaurants, sandwich or grill bars, hotel restaurants, drive-through restaurants, hot dog stands, truck stop restaurants, etc.. Depending on the size and type of restaurants,some of them hire for a wide variety of positions, from highly trained chefs and cooks to administrative staff . Getting a management job in a restaurant in Italy often means starting at the bottom and climbing the ladder for years or being hired with a huge previous work experience in restaurants. Baker in Italy - Italian cuisine is famous for its baked dishes, so baker is an important team member of the kitchen staff. Dishwasher in Italy - beside restaurants, dishwashers usually work in hotels, clubs and bars. Delivery driver in Italy - delivery drivers are amongst the most in-demand jobs in pizza restaurants. This is a job that requires a candidate with valid driving license and just a basic knowledge of Italian language. As an entry level restaurant job, delivery driver is one of the most wanted job by foreign job seekers in Italy. Warehouse worker in Italy - managing, organizing and retrieving stock in the restaurant or kitchen warehouse. Restaurant jobs in Italy could be rewarding, but dependant on tips. 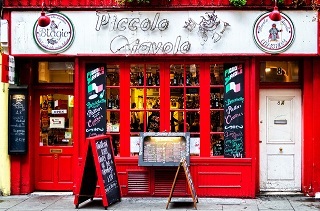 Restaurants in Italy, especially those within famous destinations, tend to pay front-of-the-house restaurant staff average or less than average monthly salaries. In that system, bartenders, waiters or servers rely more on tips. Some restaurant jobs like waiter, hostess or barman are considered as the top paid temporary jobs and entry level jobs in Italy. Restaurant employees work an average of about 40 hours per week, which is typical work week in Italy. Wages for restaurant jobs can vary by position, but average monthly salary for restaurant jobs is enough to meet everyday living expenses. Restaurant workers, especially foreign workers, usually have a benefits like one meal per shift or even included living accommodation. There are many resources available to help Italian and foreign job seekers with a job search. From local hospitality recruitment agencies to friends already employed in Italy who have volunteered to help, to job search engines and Italian job sites that provide job boards listings and tips for job seekers specifically for foreign citizens, you'll find a variety of great resources available to help with ajob search. You can also use local Italian classifieds and local newspapers to find job listings for restaurants, clubs, hotels and resorts. Informagiovani - Network of job centers in major cities in Italy that provide help and advice on finding part-time jobs, temporary jobs and maintain local job listings. They also provide information about evening classes, courses and training. European Employment Service (EURES) network - local offices provide information on job vacancies, how to apply for a job and living and working conditions. It's a bit harder to search for job vacancies for foreign job seekers. If you are not in Italy and seeking for a job in this country from abroad, you can use job search engines and job portals for hospitality jobs in Italy, as well as websites of employment agencies and restaurants, where job openings are also published. You can also upload CV, check job vacancies and apply directly for job openings on these websites. For those people about to enter workforce, or seeking part-time job or summer job, there are a variety of job search engines dedicated to entry-level jobs. Don't forget that if you are in Italy, attending local job fairs will give you an opportunity to meet companies that are hiring, get information concerningjobopenings to even interview for jobs during the fair.